Ever hear of the inholders? I hadn’t, either. Montana native Karen Wills Cunningham, who will enlighten us. She’s living evidence that one CAN go home again! My midlife crisis led to a liberating decision. With my son and daughter off to college, I sold our home, closed my law practice, and moved to the Wills family cabin just a few miles from Glacier National Park. I intended to realize my lifelong dream of being a writer. Inholders were people who already owned land inside what would become Glacier National Park in 1910. I started researching the area’s history from the late 1800s and found a treasure trove in the George C. Ruhle Library in Park Headquarters. 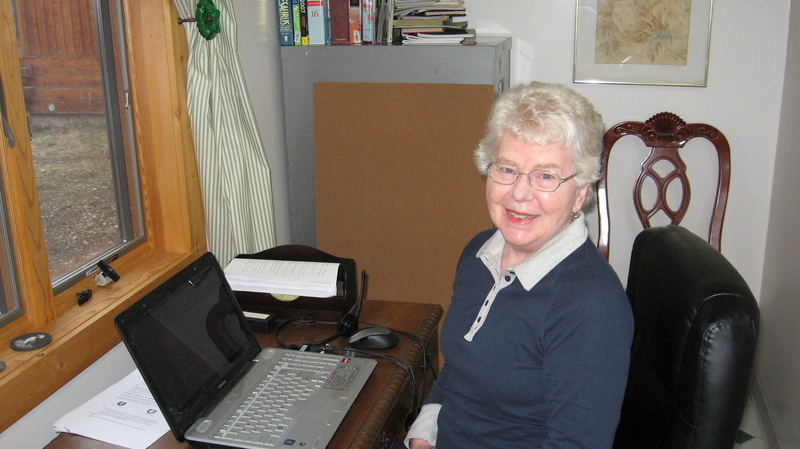 Interviews of and books about “old timers,” natives, mountain men, and settlers fascinated me. Their lives were hard, but they loved the panorama of the Rockies, glacier lilies in spring, wildlife, and the challenge of making homes in the wilderness. I’d written a children’s story about an Irish tinker’s daughter who sails for America to join her father. I decided to make the Irish girl, now an orphaned young woman, the protagonist of my novel. 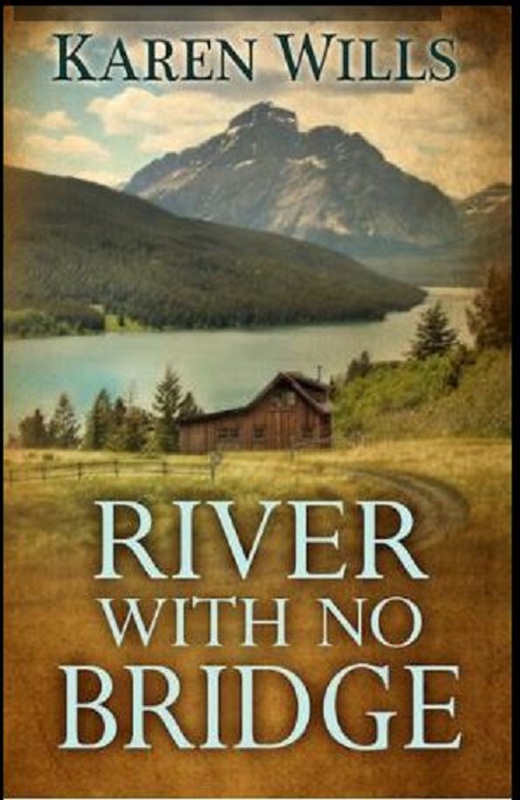 River with No Bridge became an immigrant story with themes of survival, tolerance, revenge, and love of nature. This entry was posted in Author Visits by Gail. Bookmark the permalink. Thank you, Gail, for introducing me to Karen Wills! This history sounds fascinating, and I look forward to reading Karen’s book. I am fascinated with the topic of this book and I enjoyed meeting Karen. Thanks for this giveaway. Sorry, I just realized that there isn’t a giveaway mentioned. Thanks again for this interview! Thank you, Gail. I enjoyed learning about Karen Wills and her book.